Tomorrow marks the first day of the new year. I know it is a little early but let me say – Happy New Year! I hope 2018 was good and that 2019 will be even better. I want to end this year with a recap of some of my top posts from last year. Since Mondays are my days to write about parenting, today I am listing the Top 10 Parenting Posts of 2018. These are listed in no particular order…in other words, these aren’t ranked as to which ones are better than the others. If you missed any of these, simply click the link after the first few lines of each post. As a writer, you can never stop learning about the craft of writing, composing a story or using your words more effectively. Originally, I had thought to write a post last week with gift suggestions for authors – that surely would have included books on writing – but then I decided that a post five days before Christmas was a little late. So now, I am hoping some of you might be looking for a way to spend their Barnes & Noble or Amazon gift cards they received for Christmas. So, if you are looking for some writing books to add to your library, I first suggest you check out my post on Resources for Writers. It contains many of the books I have in my own library though some of them are now out of print. However, between my birthday this fall and Christmas, I did add four new books to my collection. These first two focus on ideas and word choice. I received them just two days ago so besides perusing them while trying to get over a cold I don’t have much knowledge about them or how helpful they will be but I am certainly intrigued by this first one. 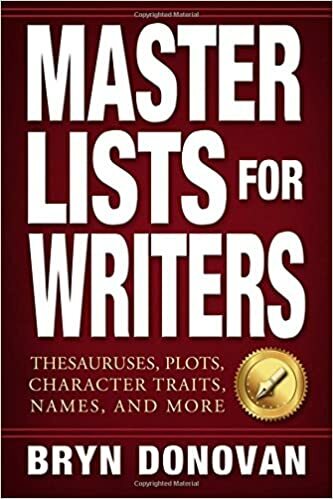 Master Lists for Writers: Thesauruses, Plots, Character Traits, Names and More – This book is a rich source of inspiration. There are lists for all types of topics that may inspire your writing or help you perfect a word choice. The Writer’s Idea Thesaurus: An Interactive Guide for Developing Ideas for Novels and Short Stories – This is far more than a collection of simple writing prompts. It contains 2000 unique and dynamic story ideas perfect for novels and short stories of any genre or writing style. These other two were birthday presents this past fall. I am always on the lookout for books to help add realism to my stories. 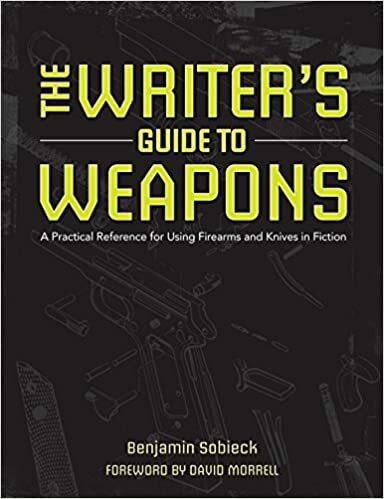 The Writer’s Guide to Weapons – Though a majority of the book covers guns which don’t work for me as a fantasy author, there is extensive information on knives. I just wish the book covered other weapons such as swords, clubs, and battle axes. But depending on the genre you write, this book may have invaluable information. Body Trauma: A Writer’s Guide to Wounds and Injuries – This book covers what happens to body organs and bones maimed by an accident. Again, if you are writing a contemporary story where your characters have access to a hospital and paramedics, then this book has a lot of good information that can bring realism to your stories. As with the guide to weapons, I have found this one a little lacking on information for a fantasy novel but hope to glean a few tidbits I can use. I hope these books prove helpful, and if you have any books that you turn to again and again, please leave the title in the comments below. Well, this is a busy month. And I hate missing a week of posting so I thought I would post some writing memes to encourage you or maybe make you laugh. Whatever. Enjoy! We all sometimes should be writing but other things (internet, children or whatever) pull us away from it. These ones are here to remind you of what you should be doing. Writing!